Brain cancer is a serious unmet medical challenge, and Washington state is one of the leading research clusters working on glioblastoma. Here we report on how RosettaDesign proteins are being used to treat brain cancer! Read more about this important translational protein design effort here. 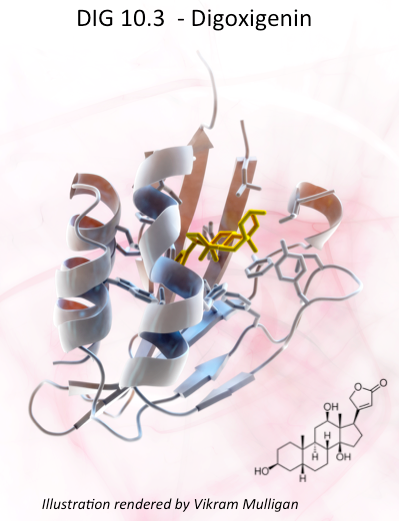 Reported on-line in Nature (Sept. 4, 2013) researchers at the Institute for Protein Design describe the use of Rosetta computer algorithms to design a protein which binds with high affinity and specificity to a small drug molecule, digoxigenin a dangerous but sometimes life saving cardiac glycoside. Learn more at this link.